BCGC has found a HOME!!!! 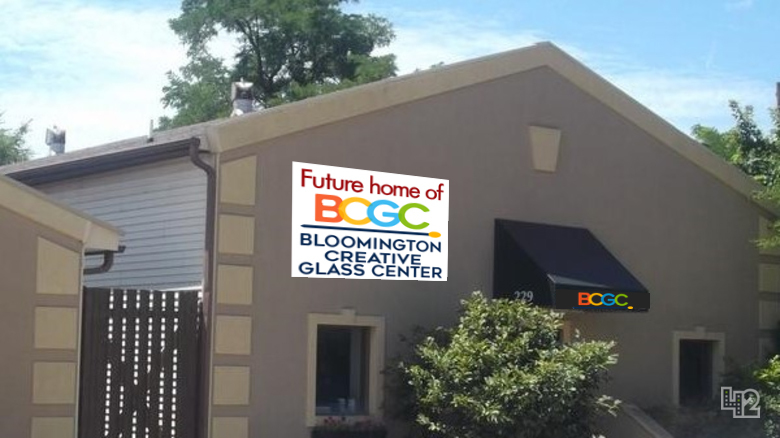 After eight years of making pumpkins, saving our pennies and planning carefully, BCGC has finally found a home here in Bloomington! Our glass arts center is moving to 229 W. Grimes Street, right next to the City's incoming Switchyard Park. Help us make BCGC a home for the arts!! Volunteer! - We are looking for folks to help us move, build equipment, sort out our office and more. Check out our SignUpGenius page for more info. Help us with a housewarming present from our wish list - We have the basics, but there is still a lot we need to get us up and running. You can check out our wish list and see if we need something you are ready to pass along. Both lovingly used and new items gratefully accepted. Support us financially - Help us bring the best arts center we can to Bloomington! Interview of Abby Gitlitz on WGCL's Eye On Indiana with Rob Humphrey. How to make a glass pumpkin on WTIU's Weekly Special. Listen to Abby Gitlitz's interview on WGCL's "Eye On Indiana" with Rob Humphrey. Listen to an interview with glass blower Abby Gitlitz on WFIU Arts & Music from July 2011. 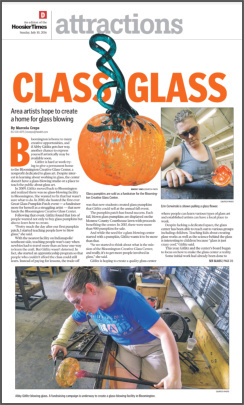 Watch our videos showing the process of glass making and video from our Great Pumpkin Patch event. Read the Bloomington Herald-Times article about us.